Azerbaijani Embassy in the Republic of South Africa has organized a reception marking the World Azerbaijanis Solidarity Day in the country`s capital Pretoria. The ceremony brought together representatives of “Azerbaijan`s friends” organization, political circles and businessmen. Addressing the ceremony, Ambassador Elkhan Polukhov briefed participants on history of the Day of Solidarity of World Azerbaijanis and national leader Heydar Aliyev`s role in development of Azerbaijan`s statehood. 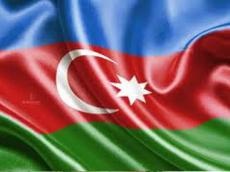 Chairman of the “Azerbaijan`s friends” organization Jamil Mammadalizade spoke of friendly relations between the two countries. The event participants viewed national souvenirs and carpets in the Azerbaijani corner.